Every Saturday we offer you the chance to explore Collective in a guided tour led by a member of the Collective staff team. 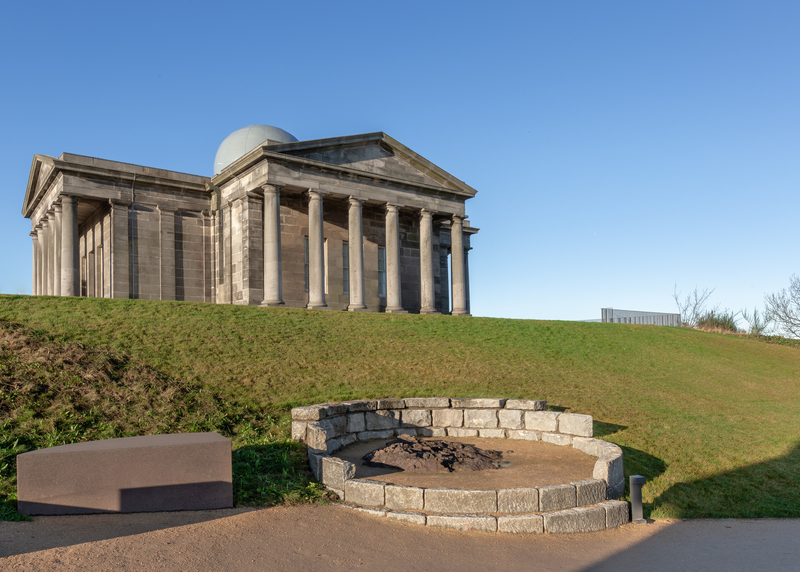 We’ll share some of the remarkable history, stories and personalities which have shaped Calton Hill over the past 200 years and bring you up to date with details of our recent redevelopment of the City Observatory site. The tour will explore the historic architecture and astronomical instruments on site, the new buildings constructed in 2017-18, and our mission to bring people together to look at, think about and produce contemporary art in a new kind of city observatory. Tours are free (donations welcome) and are not bookable in advance – places are allocated on a first come, first served basis on the day. The tour begins from just outside the entrance to the City Observatory building and lasts approximately 45 minutes. Calton Hill is an exposed location so please dress for the weather (in severe weather tours may be cancelled).